The end of summer and early fall saw numerous disasters and tragedies dominate the news cycle – from destructive hurricanes Harvey, Irma and Maria to a senseless mass shooting in Las Vegas to devastating fires in California. When these types of events occur, the mainstream media are focused on nothing else, so it’s important to consider your media outreach approach during such times. It most often makes sense to hold off on contacting journalists during these occurrences since they will be focused on the current event as it unfolds. During incidents such as the mass shooting in Las Vegas, it may be respectful to avoid contacting certain journalists with pitches that will appear trivial in comparison. I recall that after the 9/11 attacks, my agency advised our clients to postpone any marketing or public relations efforts for the short term. This was an extraordinary occurrence; most situations don’t call for such a response. As legal marketers, we are usually targeting journalists who cover not breaking news stories but specific industries, such as energy or technology, so it may be fine to contact these journalists. Many of these industry journalists are looking for a media angle arising out of the event that relates to their industry. Therefore, it might be wise to rethink your pitch and find a legal angle that relates to the event. After Hurricane Harvey in Texas and Irma in Florida, national and local media were completely focused on business stories related to the impact of the hurricane. How did it affect the insurance industry? Real estate? Energy? Banking? Instead of waiting for the news cycle to play out, I worked with my clients to identify attorneys who could discuss or provide bylined articles on legal issues arising from the impact of the hurricanes. I offered a real estate attorney to discuss responsibilities of landlords to tenants who suffered flood damage. I suggested an employment attorney to discuss employer responsibilities to employees who were missing work because they could not commute due to high water or damage to their cars. I secured an interview for a financial services attorney who was quoted in an article about legal issues arising when banks’ safety deposit boxes are flooded. Such an event is a good time for attorneys and practice groups to step up their content marketing and issue client alerts or blogs that provide guidance for industries specifically hit hard by the natural disaster. Unfortunately, in many of the recent disasters, many industries – from hospitality to hospitals – were significantly affected, so there was no shortage of legal topics. Besides making contact via email and posting on the firm’s website, don’t forget to leverage social media platforms like LinkedIn and Twitter to distribute this content. Firms should also consider how they can assist with recovery efforts, especially after natural disasters. After the recent hurricanes and fires, many firms offered pro bono services to victims who had been affected. Your firm may decide to promote your community efforts, but unless your contribution is sizeable, don’t expect to receive media coverage. This is primarily because your firm will likely be one of many other companies and businesses that are donating money, products and/or services to help with the recovery efforts. Regardless, this type of outreach will enhance the firm’s reputation as a good corporate citizen and, in the process, help enhance the firm’s brand. 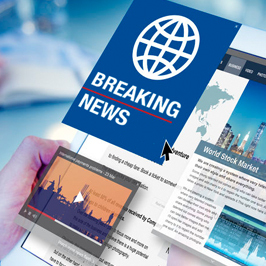 While a major news story may disrupt the news cycle with days of constant media coverage, this is an opportunity to establish your firm and attorneys as thought leaders in your key practice areas. For additional ideas on how to leverage news stories, contact me, Carlos Arcos, at carcos@jaffepr.com.